Peace and desire, both are endless. But you cannot fulfill your desire. It is like a bucket that has a hole. While getting a bodily pleasure, your brain never stops. After some time, your brain wants more variety. And after that, it wants again. This wanton never stops. Peace has no connection with bad consequences. A desire always does. Anxiety, tension, a fear of getting caught always chase you like a demon. A physical thrill and psychological kick end in mess. Like a vicious cycle, like an octopus, the endless desire embraces you. Not the embrace of love; it gives you sleepless nights-one after another. However, is desire always bad? 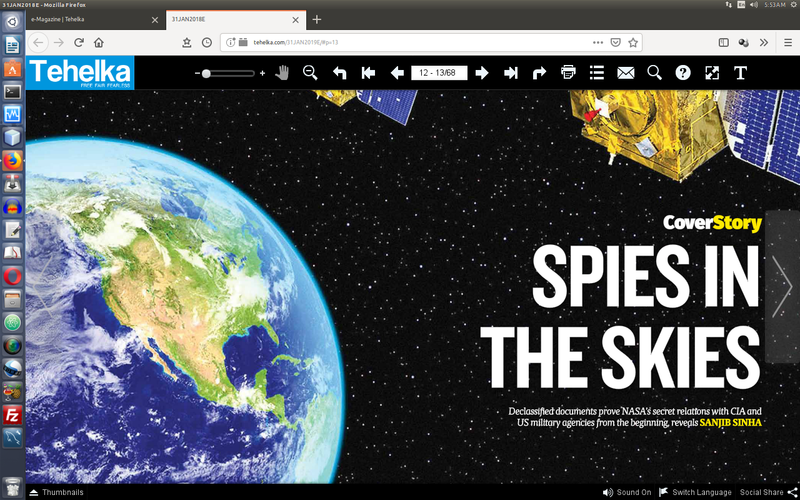 From the very beginning NASA scientists, engineers and technologists take part in indirect sky-spying activities. Declassified documents released by US government agencies like CIA, NRO are saying so. The truth has an official seal. NASA had designed shuttles that carried US spy satellites to orbit. Declassified documents depict a disgraceful relationship between NASA and CIA, the US Department of Defense (DoD), and National Reconnaissance Office (NRO). These agencies took part in designing NASA’s Shuttles throughout the 1970s. I have recently written a cover story in Tehelka magazine, on the same topic. And I’m scared, oh little girl. but, I’d have loved you anyway.